Hanover Powersports bringing the Discounts, Support and Lessons! Hanover Powersports has stepped up for the ladies of Over And Out in a MAJOR way! 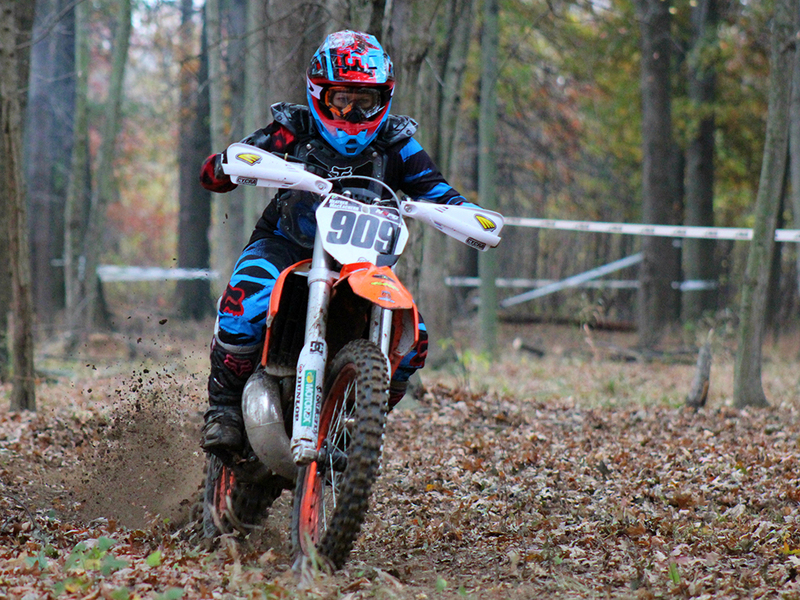 Hanover Powersports is located in NJ and is a KTM, Honda and Yamaha dealer actively involved in a lot of rider events here in the Northeast. 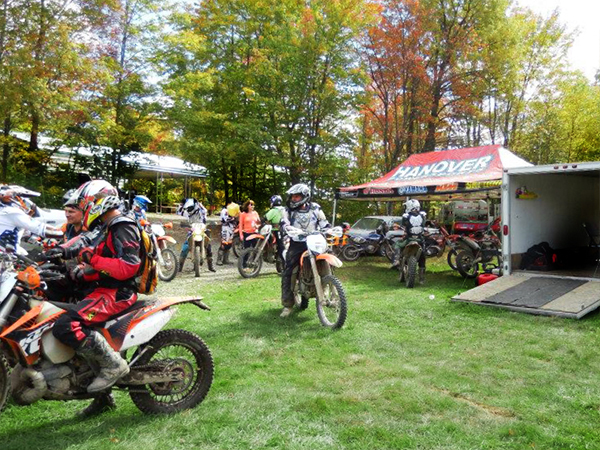 The crew from Hanover knows the Over And Out location well, because they also support over a thousand riders at the Quarry Run Dual Sport each year! Photo from Yamaha Motor Corp.
Hanover Powersports also carries apparel, gear and parts from all the top brands. 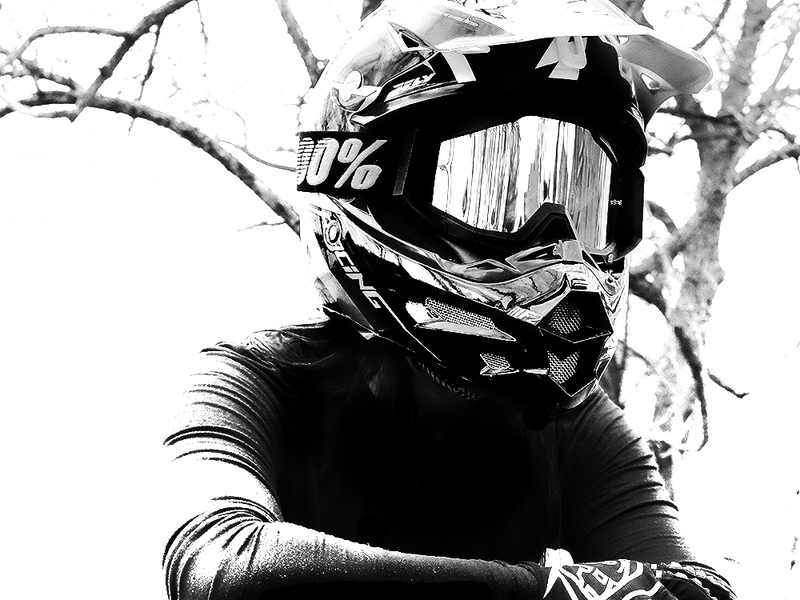 So get yourself suited and booted with helmets, goggles, boots, protective pads and more. Or, grab some woods-riding bike accessories like hand guards, fresh knobbies and more! One of the biggest missions of Over And Out is to help educate both new and current riders about a variety of bikes and terrain as well as riding techniques. These things are all crucial to riding success, but also to your enjoyment and stoke-level! 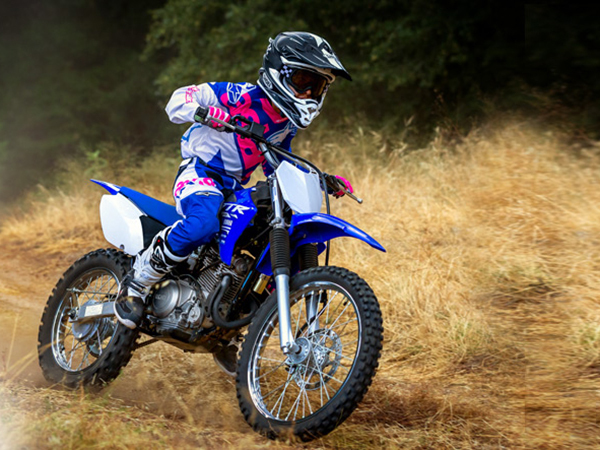 Thanks to Hanover Powersports we’ll have an MSF-certified (Motorcycle Safety Foundation) coach on site giving 1-hour lessons to groups of roughly 6 ladies at a time on their dirt-training fleet of Yamaha TTR-110’s, 125’s and 230’s. 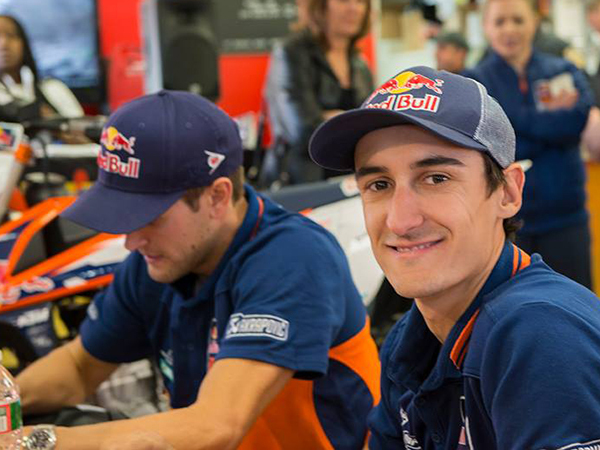 Photo by Yamaha Motor Corp. These bikes are ideal for learning. They’re manageable in size and weight, have electric start, and are four-stroke, able to handle slower speeds with smooth and predictable power delivery, which is essential as you develop proper riding habits and muscle memory. If 1-hours time slots don’t completely fill up, you’ll have an opportunity to join in for a second lesson, availability permitting. This opportunity is HUGE and something riders of any level can and should take advantage of. Full details and sign up information will be shared in a blog post completely dedicated to the lessons. If you're on our email list you'll be the first to know, so make sure you're signed up! The Hanover team will be onsite offering general, minor repairs and adjustments to help keep y’all rolling! They will accept credit cards on-site for services. Please make sure your bike is in it’s best running order before coming, but should something happen rest assured you’ve got the support of Hanover Powersports! *Discount offers are for Over And Out, expiration dates as cited above. These offers are good for one-time use and cannot be combined with other offers. Bring in a printout or screengrab of this post or the email we'll be sending to subscribers in order to redeem.